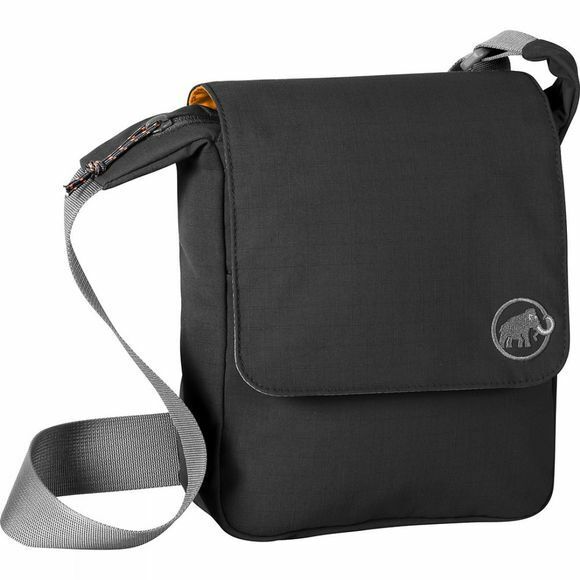 The 4L Square Shoulder Bag from Mammut is an elegant sporty shoulder bag for traveling or everyday use. The large fold-over flap Protects the contents. With a main compartment, organizer pocket, open compartment, safe valuables compartment and cell phone compartment, it offers a wealth of organizational options.